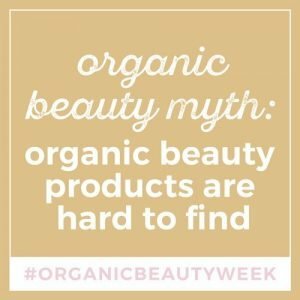 This week was #OrganicBeautyWeek, so I decided it would be fun to post a common myth each day. I think people have a lot of misconceptions when it comes to this subject. 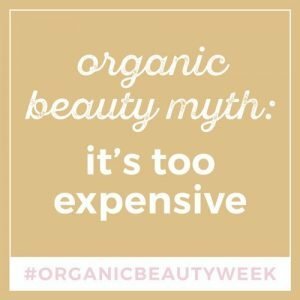 Myth #1: Organic beauty is too expensive. Not necessarily. I have found that they are generally affordable and comparable in price to regular beauty products. Like traditional products, there is going to be a range of costs and you have to decide what you are willing to spend. I have seen $40 lipsticks that are equally as toxic as $2 lipsticks. And remember, you get what you pay for. Would you rather pay less money for cheap, toxic ingredients and compromise your health? 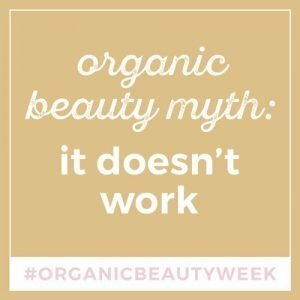 Myth #2: Organic beauty products don’t work as well. Nope. They hold up and work wonderfully. Green beauty is becoming more and more sophisticated. Even some celebrities such as Lena Dunham and Gwyneth Paltrow are switching to green beauty products, even while filming. Why wouldn’t ingredients designed by nature perform better than ingredients manufactured in a lab? Hmmmm. Like traditional products, if an organic product doesn’t work well for you, it doesn’t mean that ALL OF THEM won’t work well. Read reviews before purchasing a product, as you would for anything else. 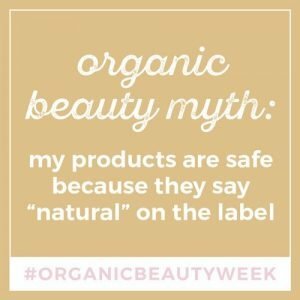 Myth #3: My products already say “natural” on the label, they are safe. No no no no no. This is called “greenwashing” and so many people fall for it. 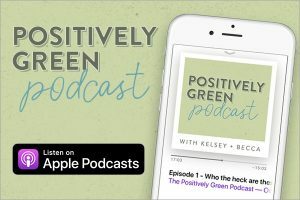 Greenwashing is when the label says terms like “natural” or “from nature” and poses the products as good when really the ingredients are horribly toxic for you. Aveeno and Herbal Essences, for example. The FDA barely regulates beauty products, and the term “natural” can literally mean ANYTHING. Always look for the organic label. Always read the ingredients and research them. Use the Think Dirty app. Don’t fall for greenwashing, especially from large brands. 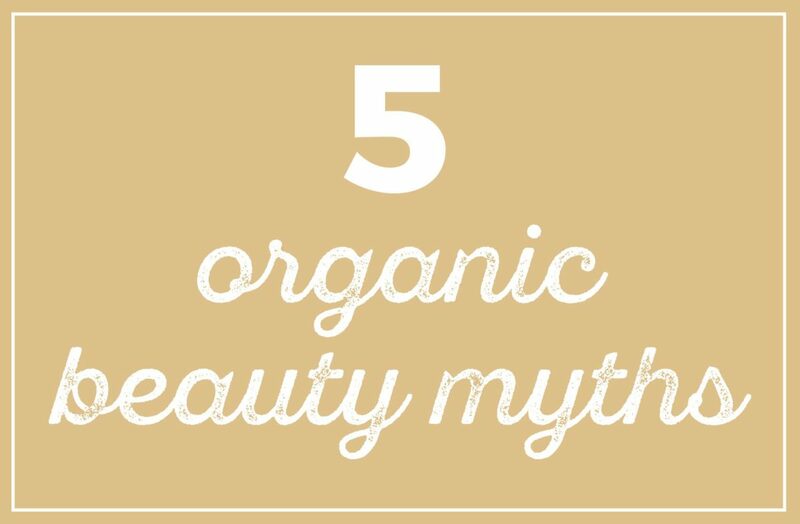 Myth #4: Organic beauty products are inconvenient to buy and hard to find. Not at all! Like I said before, green beauty is becoming more and more popular. You can even find some brands like W3ll People at Target. There are tons of online green beauty shops like Citrine Beauty and Shop Conscious Beauty. Indie beauty creators are all over Etsy and local farmers markets. Amazon also carries the majority of brands that I use (hellooooo free two-day shipping!). I’ve also seen a ton of DIY makeup recipes on Pinterest. 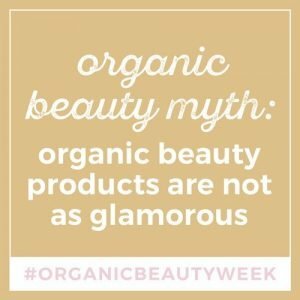 Myth #5: Organic beauty products are not as glamorous. I hope this helps persuade you that the green lifestyle is indeed affordable, effective, convenient, and glamorous. Honestly, I’ve switched over and never looked back! 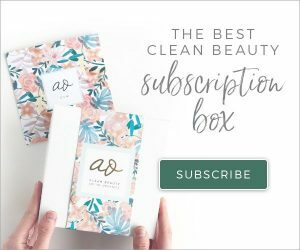 Wondering what some of my favorite products are? Go to My Faves page to see and buy for yourself!